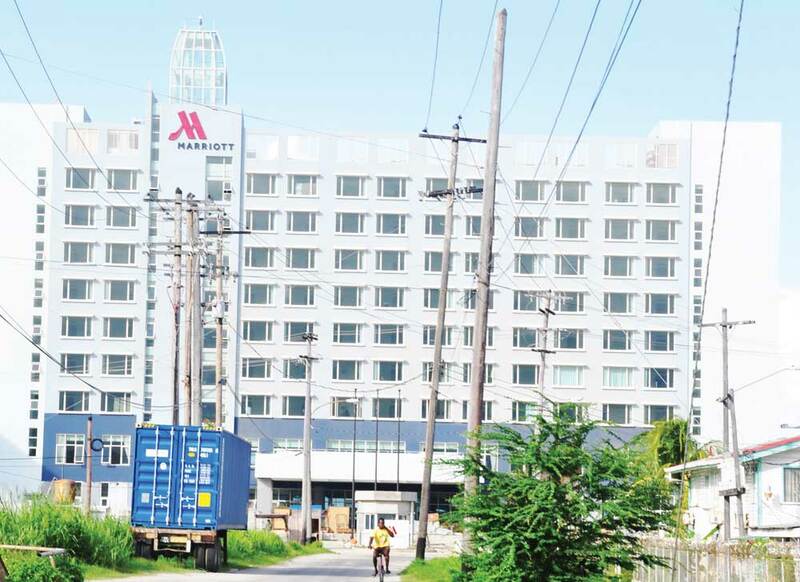 The US$57M Marriott Hotel is significantly completed but there questions remain as to where Government is finding the money from to continue construction and other critical works. Initially, Government had plugged in US$20M leaving it to find another US$37M from a private investor and a syndicated loan from Republic Bank Trinidad Limited. However, that US$37M had remained elusive as a court case filed by Opposition’ Member of Parliament, Desmond Trotman, has sought to block the mortgaging of the Kingston property. In the meantime, works are still continuing on the site. According to Leader of the Alliance For Change (AFC), Khemraj Ramjattan, his party has been paying close attention to the Marriott Hotel development. According to the MP, his party has been doing its own investigations and from sources in the Ministry of Finance, it is more than likely that Government is illegally using monies from several secret accounts that it has hidden around the place. Ramjattan pointed out that it was the Auditor General who discovered several seemingly unused state accounts that had millions of dollars lying around in them. There were more than 10 bank accounts with over $2B. The Opposition Member of Parliament said that the fact that the private investors have not yet put their US$8M in along with the US$27M loan from the Republic Bank should raise alarm bells. Earlier this month, Brassington, who heads the Atlantic Hotels Inc, a partially Government-owned company which is managing the Kingston hotel project, admitted that it has not yet received a blind cent of the US$8M that two Hong Kong businessman were supposed to have invested. Brassington said that a court case by Member of Parliament Trotman blocking the mortgage has held up the US$27M syndicated loan, which in effect has delayed the US$8M coming from the Hong Kong businessmen. Earlier this year, it was announced that the businessmen, Victor How Chung Chan and Xu Han, who are principals in the British Virgin Islands (BVI)-registered ACE Square Investments Ltd, have agreed to come on board as private investors, for US$8M. With that amount, in effect Ace Square would have taken control of 67 percent of the hotel– another controversial decision. To secure the Republic Bank syndicated loan, Government, a few months ago, moved to mortgage the lands and property in Kingston where the project is being built. One week later AHI said that it was taking out a debenture on the Marriott. A court case filed by Trotman, in his private capacity, asked for court orders to block the mortgaging of the lands. Trotman said that the transfer of the lands by Government to AHI was illegal. The Marriott Hotel has been mired in controversy from its inception firstly with the rerouting of the sewerage system before any works had begun. Prior to the NICIL money, Government had given Courtney Benn Contracting Services Limited a US$1M contract for the rerouting of the sewerage system in the Kingston locale. That contract was pulled after more than US$700,000 was paid over. It was then given to an overseas company, for a further US$2M. AHI also leased the prime seven acres of shorefront property on which the hotel rests for a measly US$120 (G$24,000) per month with the option to buy. 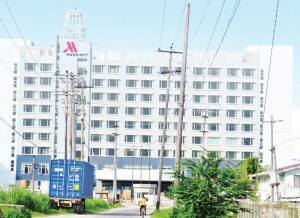 The hotel construction is being carried out by Shanghai Construction Group.